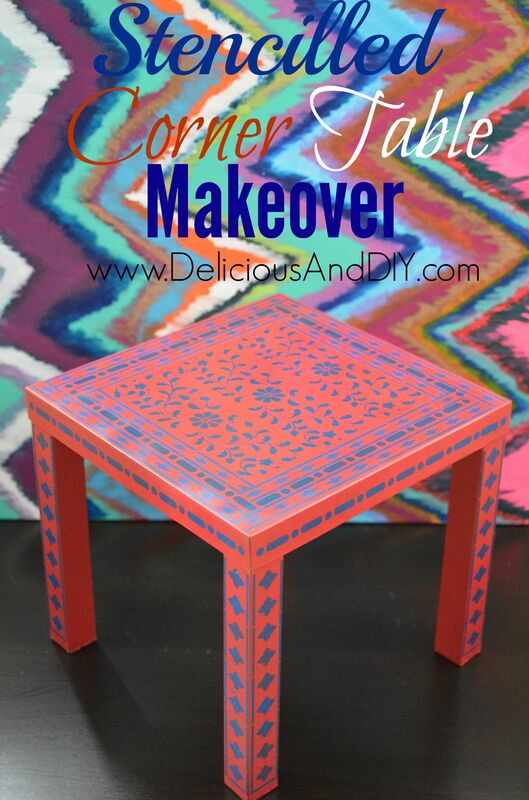 This makeover is one of those that when you start off you’re like what in the world will I do with this furniture piece but when its done you’re like oh WOW this actually looks really good. So one fine morning I ended up with this little side table. It was basically pretty basic! It had a few scratches on top but just some minor ones that could be fixed easily. Oh and did I mention it was painted in this green color. But I just had to have it because if I didn’t I would have eaten my poor husbands brain on what if I had the table? Should we have taken it when we had it the chance? Could it have been completely transformed? etc etc. 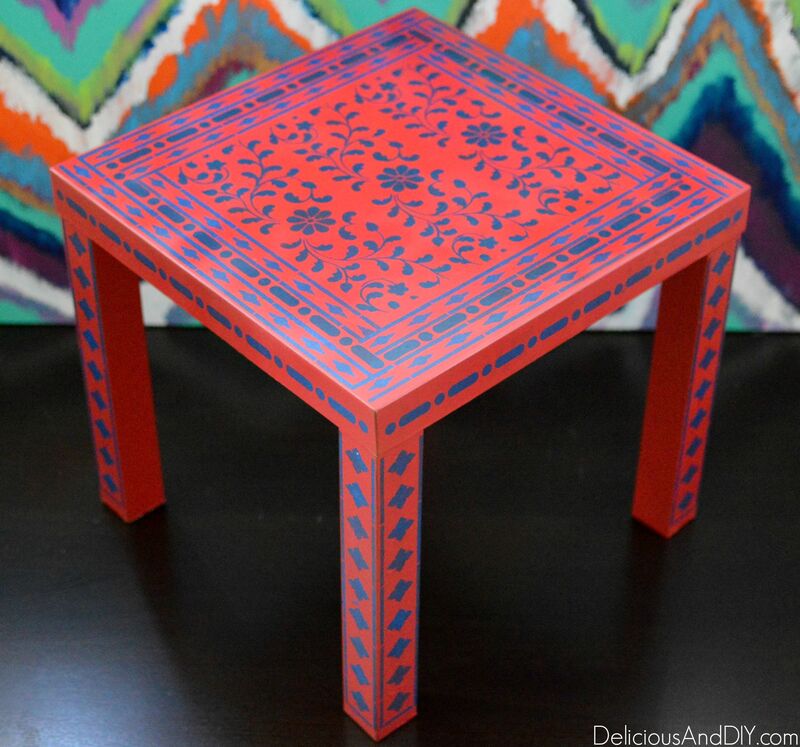 But moving on, I received this beautiful Indian Inlay Stencil Furniture Kit and it was PERFECT for this table. 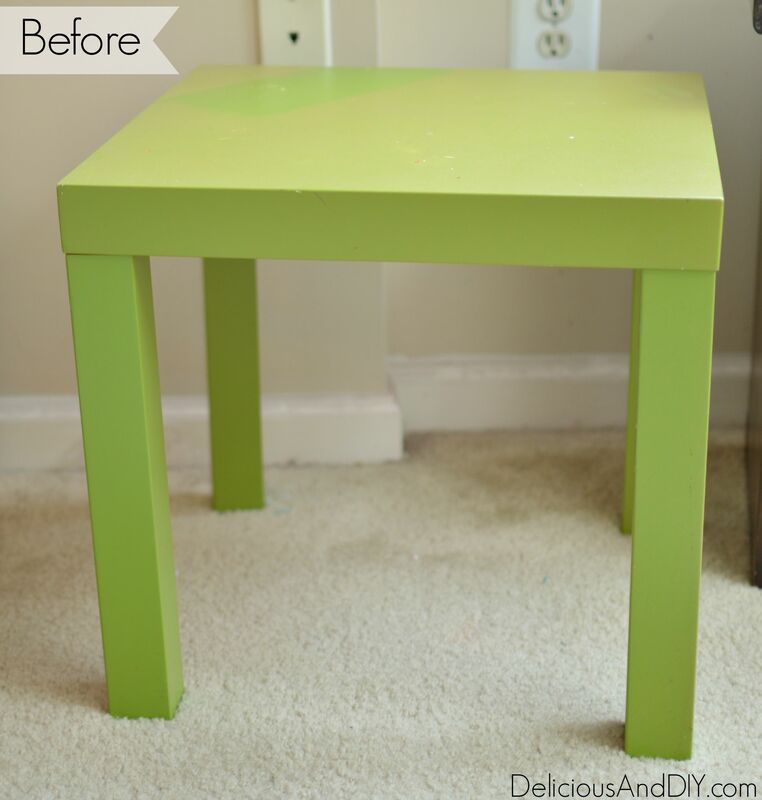 Finally this “basic green” table was about to have a new life. The color combination I was going for was a Red and Navy Blue kinda vibe. 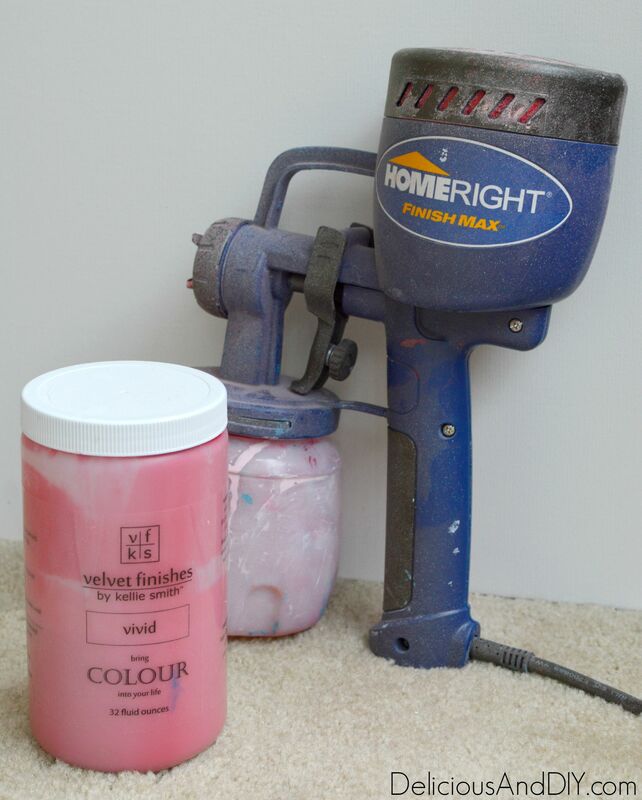 So starting off the table got a good dose of Vivid by Velvet Finishes with my trusty HomeRight Finish Max Sprayer. 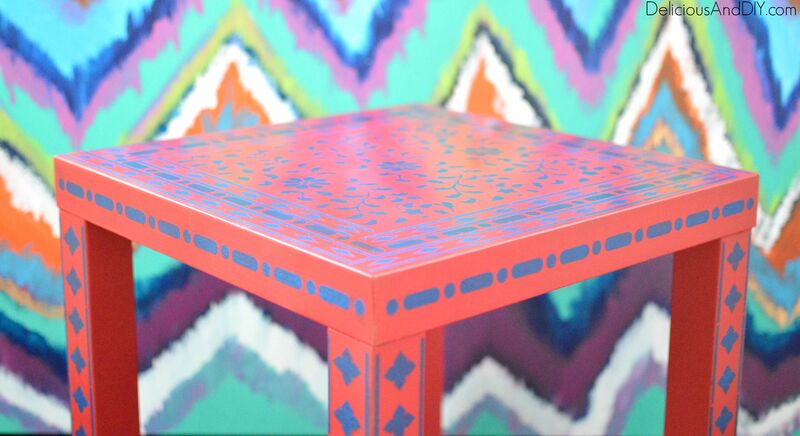 I gave the table two coats of Vivid. When that was dry, it was time for some stenciling. The stencil kit that I had chosen comes in five pieces, stencil brushes and foam roller brushes so you can pick and choose which finish you like. 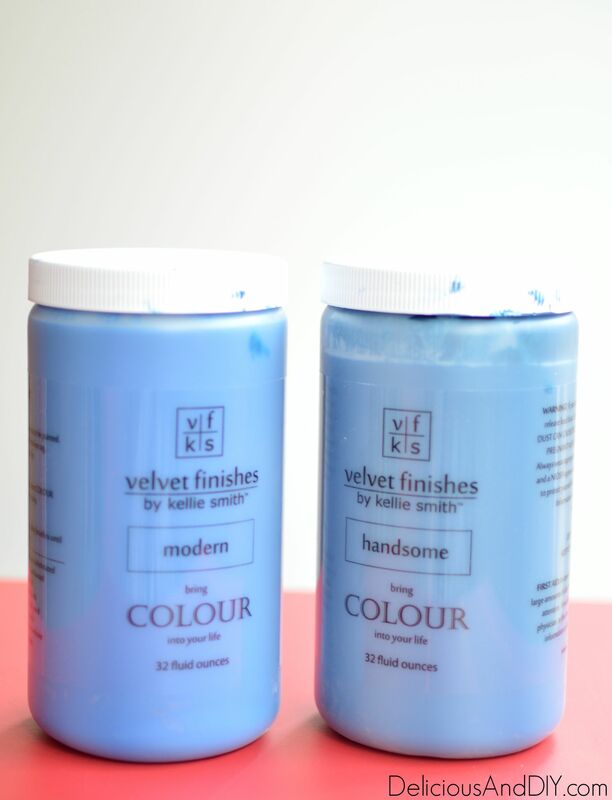 The color I chose for the stenciling part were two shades of blue by Velvet Finishes, one was Modern and the other was Handsome. I planned on alternating between both the colors. And then it was Stenciling time! The stencil brush that I used on this table is slightly firm. 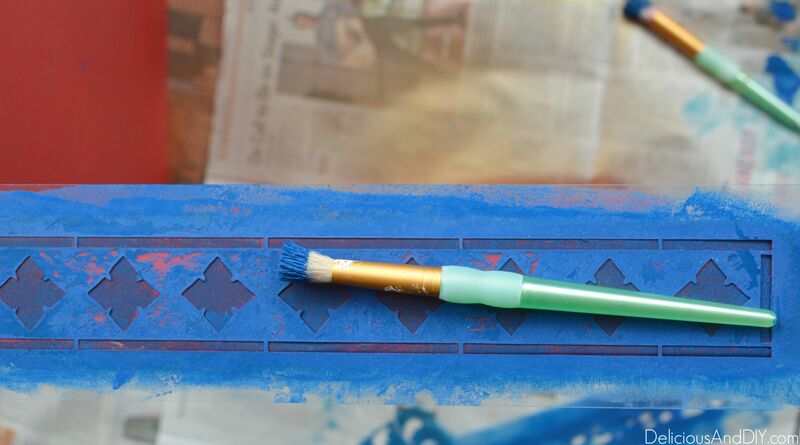 You dab on a little paint and in an up and down motion you completely fill in the stencil. The results were perfect and the paint didn’t seep out of the stencil at all. It did take me a while to complete the table but in all honesty it was so much fun plus as soon as I was finished with one part the other side would be dry so I didn’t have to take any breaks. It was pretty much a smooth process. Lastly I went over the table with my High Gloss Spray since I’m on this “Everything should have a shiny and glossy finish” train these days. 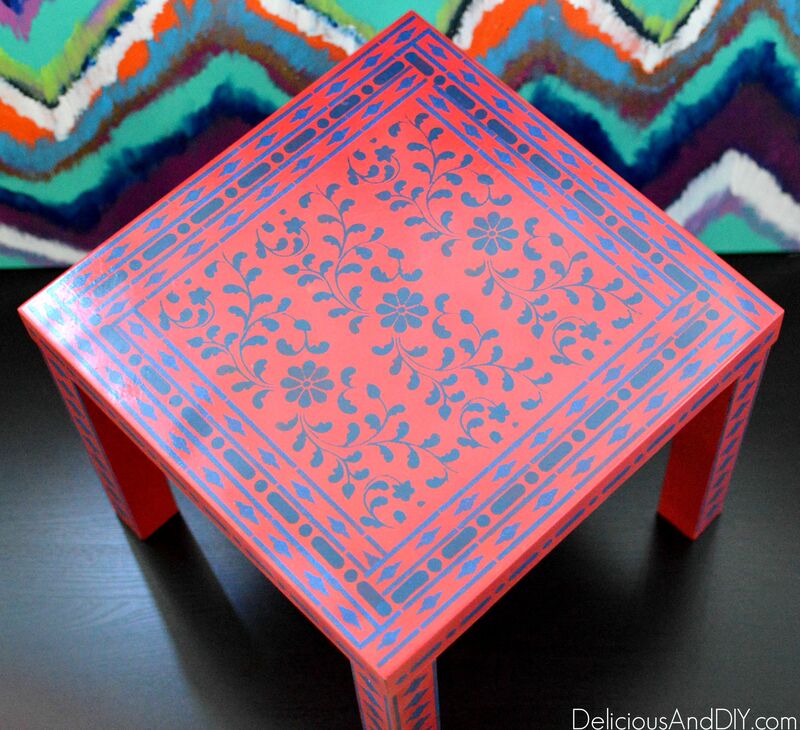 This table is truly charming. I would love to have it in my house! Pinned to my furniture board. So cute! Love the creativity! I couldn’t get the link to the stencils to work though. Entered the raffle, fingers crossed. Hey Sara thanks for letting me know, I just checked it and it seems like there is an issue with their website but it should be up and running in no time. aww, giveaways over , but i have to tell u how amazingly talented u are. How do I find you on etsy? 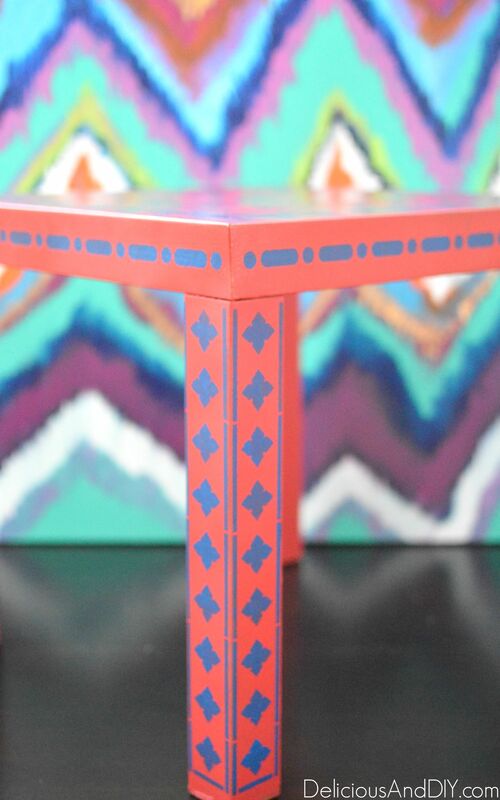 This little table pack a big punch. You did a great job choosing your colors and stencil. It looks quite exotic. I saw your link at Friday’s Furniture Fix party.